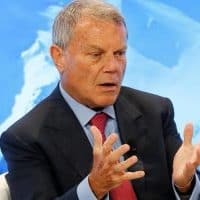 Publicis Groupe has announced what may be an important tie-up with Jack Ma’s Alibaba online behemoth in China (below), partnering in Alibaba’s Uni marketing framework to “generate deeper consumer insights, inform content decisions and enable true precision storytelling” through a new Uni Desk. Alibaba’s self-styled “ecosystem” includes e-commerce products Tmall and Taobao and Youku, Tudou and UCWeb for video, Gaode Map and and Sina Weibo for social. Alibaba is China’s version of Google (and maybe Amazon and Facebook too) so maybe this will, indeed, be significant: giving Publicis in China a leg up over its Western holding company rivals. But over the years various agency groups have announced supposedly transformative deals with the likes of Google which, if they benefit anyone, seem to benefit Google most.